Obituary for Lois Estelle (McArthur) Riddick | Doolittle Funeral Service, Inc.
Lois McArthur Riddick, born September 10, 1925 in Middletown, Connecticut to the late James Russell and Martha Stewart McArthur. She departed this life peacefully at her home in Middletown, CT on Sunday, December 2, 2018. Lois married Walter McKinley Riddick in 1946, which preceded her in death 43 years ago. Lois leaves to mourn her death—her son, James A. Riddick, Middletown, CT; daughter, Eleanor L. Bain, Durham, North Carolina; and son, Carleton L. Riddick, Sr., Middletown, CT; daughter-in-law, Janice Bartolotta, Middletown, CT. She has one grandson, Carleton L. Riddick, Jr., Middletown, CT; and one great grandson, Jachai Riddick, Bristol, CT. Also survived by her 5 sisters—Constance Thornhill, Bronx, New York; Lannie Morehead, Fort Washington, Maryland; Eula Phillips, New York, New York; Henrietta Howard, Oxon Hill, Maryland and Joan Scott Hill, Upper Marlboro, Maryland. Lois also leaves to cherish her memory of seventy years, her best friend, Martha Robinson of Middletown and her adopted sister, Elizabeth “Lil” Humphrey of Middletown and a host nieces and nephews. Preceding Lois in death was her oldest sister, Martha Francis McArthur of Queens, New York, youngest sister, Pauline McCorkle of Queens, New York and step brother Lester William McArthur, Sr. of Middletown, CT.
Lois’ schooling included Nathaniel White Elementary School in Cromwell, CT and Middletown High School graduating in 1943. She developed an interest in hair care and completed the course of study at the Modern Hair Dressing School in New Haven, CT. Her employment included Domestic Work, employment at New Departure Manufacturing Company, Nurses Aid at the Middlesex Memorial Hospital Baby Nursery, JH Bunces Department Store and 25 years of service to the State of Connecticut at the Connecticut Valley Hospital (Merritt Hall), Middletown, CT, where she retired thirty three years ago. Although Lois’ employments were demanding, she always made and gave quality time to her husband and 3 children. Lois was born into the Cross Street A.M.E. Zion Church, Middletown, CT 93 years ago. As a young child she was active in Sunday School and Christian Endeavor. As an adult, she was faithful in service on the Board of Trustees and a member on the Steward Board. As a young woman, Lois was encouraged by her Mother to join the Missionary Society at Cross Street Church. 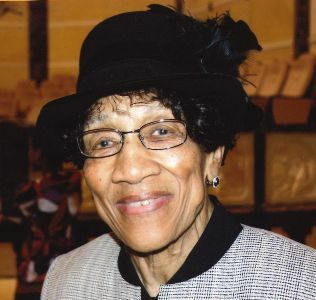 Mentored by the late Missionary Kate Hamlin, Lois served as District Secretary of Supply from 1985 to 1997 on the Hartford District Woman’s Home and Overseas Missionary, and was also recognized as a Woman of Excellence in 2001. In 2005 she received from the Church Women United The Valiant Woman Award, and in 2010 upon Lois’ retirement of serving more than 25 years as Church Women United Representative, received recognition for her devoted service and outstanding leadership on behalf of the Western District of the New England Conference. Funeral services will be held on Monday, December 10 at 11:00 am at Cross Street A.M.E. Zion Church. Burial will follow in Cromwell Hillside Cemetery East. Family and friends may call on Monday morning from 10:00 to 11:00 am at the church. For friends who prefer, donations in Lois’ memory may be made to the Cross Street A.M.E. Zion Church Mortgage Fund, 440 West Street, Middletown, CT 06457. To share memories or send condolences to the family, please visit www.doolittlefuneralservice.com.